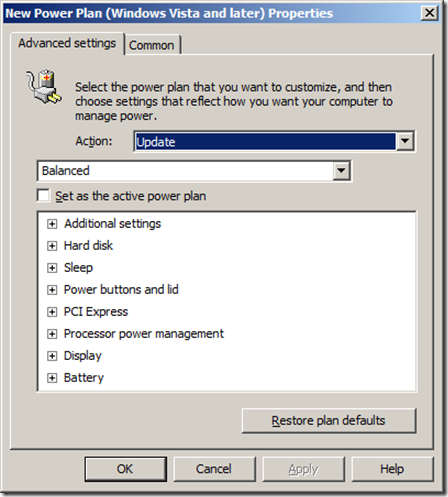 I have selected for this weeks Group Policy Setting of the Week (GPSW) the group policy preferences that is used to configure Power Plans. 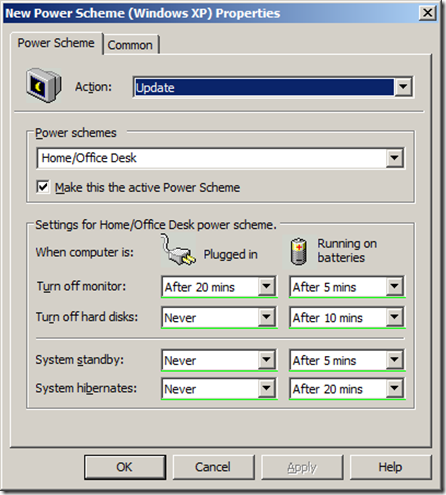 While configuring power plans for your environment may be nothing new if you have deployed third party tools, you can now avoid the added expense and complexity of doing this as this functionality is now provided out of the box. 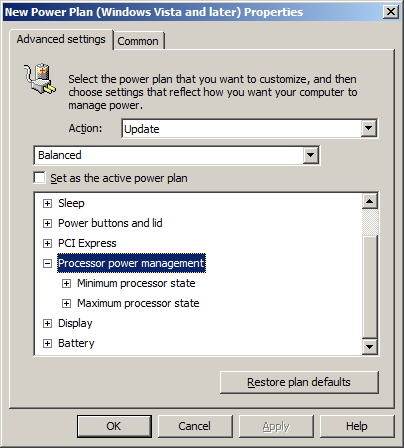 This option can be found under User Configuration > Preferences > Control Panel Settings > Power Options and is used to control the individual power plan for your computers. 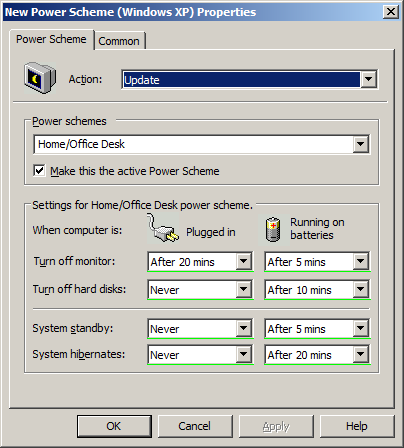 Strangely I have found that this option only works under the User Configuration setting which I presume is the case because it is normally a user configured setting even though the option is under the computer configuration section as well. This power plan option also work with Windows XP however you do need to explicitly select the correct OS power plan as the XP plan will not work on Vista+ and vice versa. 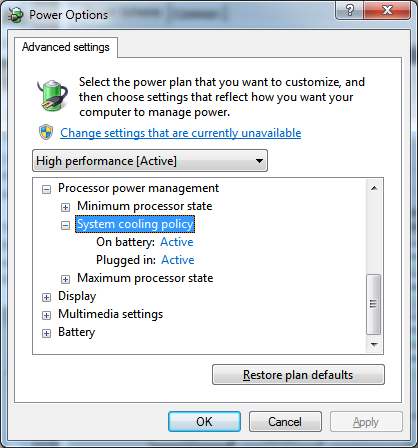 As you can see this can be used to configured almost all the power plan setting that your version of windows has to offer. 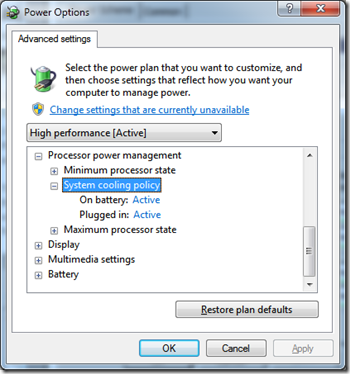 One notable omission is the CPU System Cooling Policy setting that was introduced with Windows 7 which is not available to be configured in the Vista (or later) power plan. If you have not already got Group Policy Preferences deployed in your organisation then this is definitely the excuse you need to get it deployed. Go to any manager today and say you can start reducing the power consumption of you computer fleet using software they are already licensed and almost always the reaction will be to have it done yesterday. 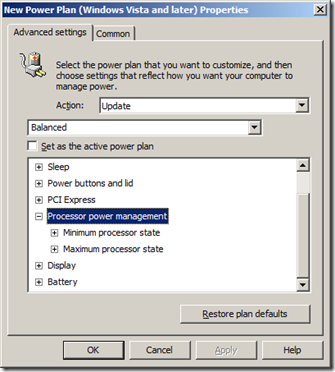 This setting will work on Windows XP or greater if you have the Group Policy Client side extensions installed.